Salvatore Agusta has a very international mind and has a lot of international experience. He has worked with the Lithuanian Consulate of Rosario, Santa Fe in Argentina where he managed communication and the legal requirements for international transactions between Argentina and Lithuania. Salvatore is a specialist in the area of tax law and he has gained more than four years of experience in international law firms, focusing on providing legal advice in the area of national and international tax planning, especially with reference to the real estate market. Export desk: Salvatore has two years of experience in an international law firm where he was in charge of the export desk, managing international contracts. He speaks English, Italian, Spanish, and French. Salvatore Agusta graduated in Law from the University of Palermo, Italy, among the top of his class. His final thesis discussed capital gains in economic and taxation law. As part of his formative education, Salvatore spent one year at the Vilnius Universitetas in Lithuania studying international and EU law, with a special focus in conflict resolution and international mediation. 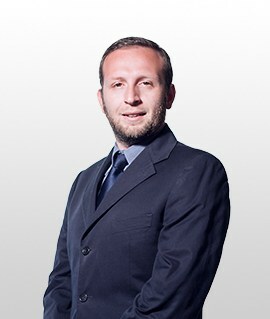 Salvatore passed the European Union Ability exam (Europe’s “bar exam”) in the court of Palermo.